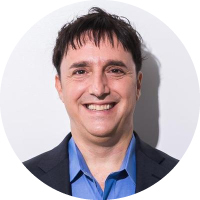 Neal Schaffer is a leading consultant, educator, speaker, innovator, and influencer at guiding businesses through their digital transformation with a focus on social selling, social media marketing, and sales and marketing alignment. HOW DID YOU GET TO BECOME AN EXPERT IN CONTENT MARKETING? I honestly don’t necessarily consider myself an expert in content marketing per se as I have never written a book solely on the subject nor taught a course specific to it. However, I am a published author, consult, and teach social media marketing and social selling (both at Rutgers University but I also teach social media marketing in Europe at the Irish Management Institute and the University of Jyvaskyla in Finland), and thus therein lies my relationship to the subject. Having a background before social media in B2B sales, business development, and marketing, I have always seen content as the ultimate “omiyage” – the Japanese souvenir that you bring back to friends when you come home from traveling. I leveraged this concept when I did sales in Japan to ensure I would always be able to secure client meetings due to the fact that I was always bringing omiyage, which weren’t local sweets from a destination that I had visited, but information that they couldn’t find elsewhere that would make them better at their job and at making a better purchasing decision. In social media marketing, especially for B2B companies, content represents that same omiyage. Fast forward to today in my present career in social media, I don’t talk exclusively about content marketing but more about content and how to best leverage it for social media marketing or social selling. I am also a passionate advocate of and evangelist for content curation, so the combination of these things has given me a unique perspective that I believe has helped me stand out and be recognized in the crowded sea of content marketers. WHAT AREAS OF CONTENT MARKETING ARE YOU MOST PASSIONATE ABOUT? I look at content marketing from a social media marketing perspective, where content is truly the currency of social media. If social media represents the convergence of information and communication, engagement comes down to a combination of communication and content. Brands aren’t human, no matter how hard they try, so communication will always be a challenge in a world where social media was made for people and not for brands. On the other hand, content is where brands can truly contribute to their communities while reaching business objectives at the same time. This, however, requires the creation of content that is fit for social media, not simply for content marketing. When I speak to content marketers, this social perspective on content, or how to leverage social media for content marketing, is what I am most asked about. I am also passionate about content from a tactical perspective in terms of its repurposing and pruning. Either brands have too little content and find it challenging to create more content in more mediums, in which case repurposing can be effective, or brands are inundated and might have too much content, in which case pruning is an effective tactic. Content is a living entity and needs to be managed appropriately to be most effective. This requires not only a content strategy that utilizes my concept of “content buckets” that I introduced in my Maximize Your Social book but also the above implementation tactics to ensure maximum ROI from your content. Finally, I am a big fan of content curation and leveraging user-generated content. Looking at the current trends, of consumer brands on Instagram, one can argue that the future of content isn’t even about your own but the content of others. WHICH CONTENT MARKETING INFLUENCERS INFLUENCE YOU? OUTSIDE OF CONTENT MARKETING WHO ELSE INFLUENCES YOU ? Mike Stelzner – The Business of Social Media. Koka Sexton – Social Selling. WHICH BRANDS OR PRODUCTS STAND OUT FOR YOU IN CONTENT MARKETING? Influencer marketing tools like Onalytica are a great way of analyzing who is talking about what which can help for both content curation and content ideation. On the other hand, many of the influencers I have listed, especially the Content Marketing Institute, represented by founder Joe Pulizzi, regularly publish authoritative content on content marketing. I love collaborating with brands in the mediums that they find most attractive. Of course, I enjoy speaking opportunities at live events the most, but in addition to speaking other collaborations I have done have included blog posts, podcasts, videos, webinars, livestreams, whitepapers, product development, advisory board, consulting, content amplification … I think almost any type of content medium you could think of! My handle is nealschaffer on every social media channel I am on, so it’s easy to find and engage with me. I always look at my contact emails from my nealschaffer.com website first, so that would be the best place to start.